Interests:Any type of fishing, saltwater and fresh, Writing and photography work....member of New England Outdoor Writer's Association, professional ski instructor, Enjoy bike riding and exercising. I'm hoping some of our regulars who frequent this Forum will introduce themselves. We have a great bunch of guys (both CAG members as well as non-members) here in RI who fish together and share ideas. Let me add a few things that may not have been included above. I am retired so I get to fish A LOT. In fact, I carp fish just about every day in the morning and sometimes at night also. I am also a fanatical stiper fisherman and I tend to do that at night. My claim to fame in the fishing world is that I have landed over 50,000 striped bass from the shore, a feat few fishermen, if any, have duplicated. I manage to catch a lot of carp from the state waters as well as from nearby MA waters. I especially enjoy river fishing and love fishing the Blackstone, Merrimack and CT rivers. Here in RI there is very little carp fishing pressure and I often fish places in northern RI that no one has ever caught carp before. It' s almost like fishing private waters! I took over as state chairman of the CAG here in RI 6 years ago. At the time, I was the only CAG member. Now we have 12 members and we seem to have many newcomers sign up every year. I enjoy running the group and try to get out and fish with all our members. My name is Jesse and I can't wait to catch some giants and hope to meet some of you carp fishermen around here. I'm in MA but will travel to RI for some good fishing! ....I have landed over 50,000 striped bass from the shore, a feat few fishermen, if any, have duplicated. Sorry, I don't belong here for I'm from VA but just couldn't help but commenting on the above....WOW!!!! That is amazing and a great accomplishment, indeed. My name is Mike Gillis and I live in Riverside,RI.I am the current President of East Bay Anglers and I'm a carpaholic.I hope to meet lots of you guys and catch a lot of Big Boys with you in the very near future.I've been in RI since August of 07 and I'm a Truck driver so I know the highways pretty well but the towns I use my maps or GPS.I'm looking for specific spots to fish on the Blackstone river where I might have some luck. I hope to meet all of you and fish together real soon. Mike, welcome aboard and great to have you in our group. I look forward to carp fishing with you and introducing you to our RI CAG members. Hey Guys, My name is Chris. I am a soon to be retired commercial diver and a fanatical kayak fisherman from the south shore of MA. I was introduced to carp fishing last fall and am completely hooked. I also fish for stripers and largemouth. I would love the oppertunity to fish with some of you weathered carp fisherman. Question,I have done a fair amount of fishing in the upper reaches of the Taunton river, but haven't tried it for carp yet. Any one fish it? There are rumors that there are carp up there, but we have no confirmed catches from that area. That is an area in MA that we know little about. Good luck if you try. I want to welcome two new members to our RI CAG group that have joined the CAG recently. Their names are Ron Marafioti and Jason Dichristofaro. I look forward to fishing with these guys and hope your experience in the RI CAG is a good one. Welcome aboard! 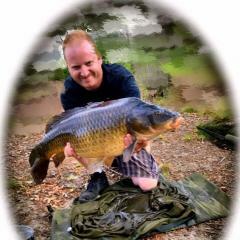 Hey guys, my name is Paul and i'm a carp angler from the UK. I moved to Attleboro, MA 6 years ago at 18 and only recently found out there were carp in the states and even better locally. So far i have tried both Lake Mashapaug and Scott's Pond along with some local ones, so far no luck at all. Would love to chat with some of you guys about RI/MA Carp fishing maybe figure out what i'm doing wrong, also be nice to find some people to fish with. I'll be back at Scott's Pond today next to the fire station and also trying out the other side of Scott's Pond where there are garages and a boat place, seems to be better access there. Do they not like curried corn over here? You are on the right track in the spots you are fishing. We have a fish-in scheduled for Sat. at Roger Williams Park in Prov. Feel free to join us.....info under fish-ins Forum. Consider joining the CAG group. We already have a CAG member from N. Attleboro who fishes with the RI CAG. Hi All, I'm Jeff Allard. I've been fishing RI and Carp for a handful of years now with some great success so far. I found the key to success is to fish with as many other carp anglers as possible, ask lots of questions and watch everything they do. In doing this you will get many new ideas, sometimes conflicting, but it'll give you many new things to try for yourself. I'm always happy to fish with anyone, newbie or seasoned to share ideas so feel free to contact me. I'm in Northern RI and do a lot of fishing in the Blacksone River. Hello Folks, Im new in here. My name is John and Im from Warwick, R.I.. I love to go Carpin' and look forward to seeing a few folks from here in my new adventures...see you soon. Feel free to email me to discuss some spots and get a line wet. Welcome John, I'm always up for fishing with new people, contact me if you'd like to get together sometime! I'm new to the board and while I live in Southeastern Mass I do a lot of my carp angling in RI. Years ago I fished with a transplanted Englishman named Nigel, I've lost touch with him and carping too. Time to start again seriously. Done and done! Last I heard from Nigel he was closing Eurotackle and going back to motor sports, I glad to hear he still wets a line every now and again. Welcome aboard. Sent you a PM. Yes, we can get you some help and get you catching in a short amount of time. You are sitting on some very good carp fishing nearby. My name is Rob from Cranston RI. Avid Carper who's on the bank as much as possible. Have only been carping seriously for a little over a year now and would love to learn as much as possible from some of the best carp fisherman in the area. Looking forward to meeting and fishing with everyone in the new season that is now upon us! Interests:Fishing, music and a bunch of nerdy science stuff I call work. Look forward to meeting you on the bank at one of the RI fish-ins this Spring. So glad you joined CAG. You will be a great addition to our group. Welcome Rob look forward to fishing with you. Hi, my name is Thomas Perron and i just joined the group today. decided to join because my interest in carp fishing is greatly increasing. I carp fish EVERYDAY and would like to expand my knowledge further. i also would like to meet more people who love these fish as much as me.